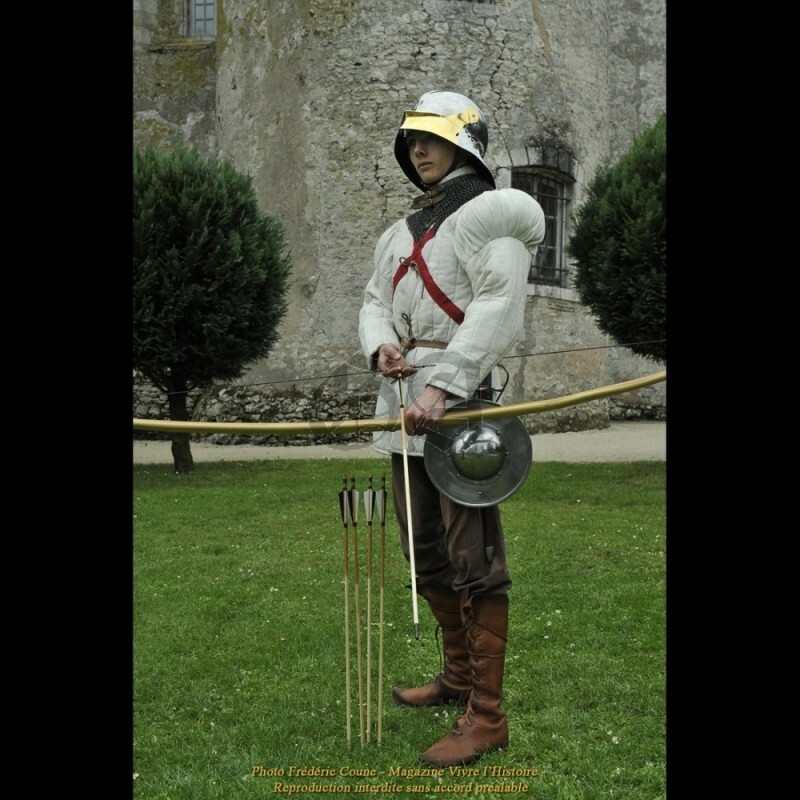 You want to reenact a high nobleman of the fifteenth century? 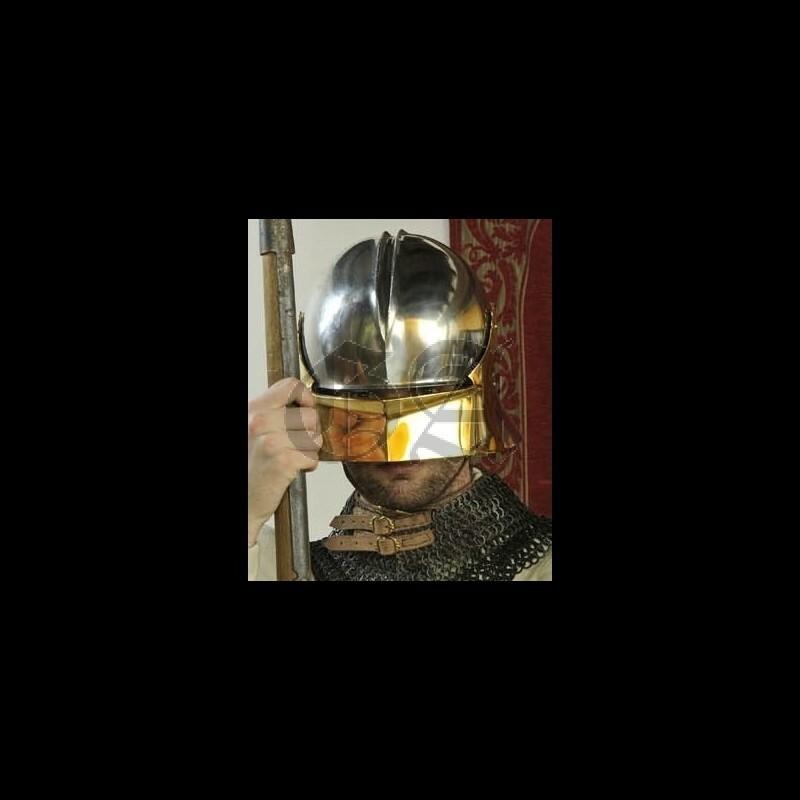 An officer or a wealthy man-at-arms ? Or maybe simply an archer or a page of the household of a great lord ? Do not hesitate to choose a partially gold plated salad, as frequently described in numerous sources for this period ! 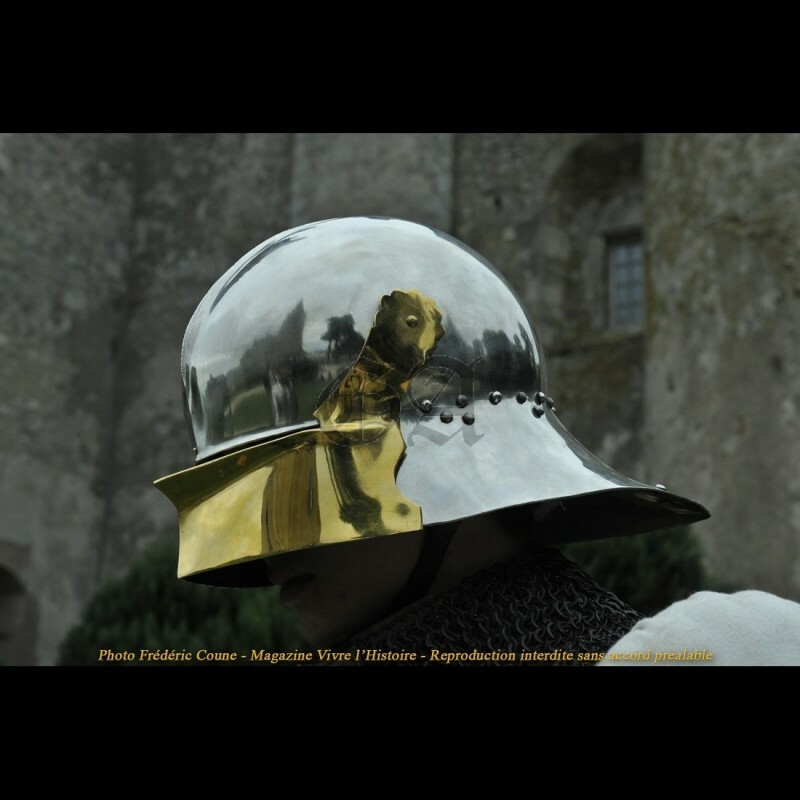 To display their power and wealth, XV century great nobles did not hesitate to sumptuously equip their personal guard. 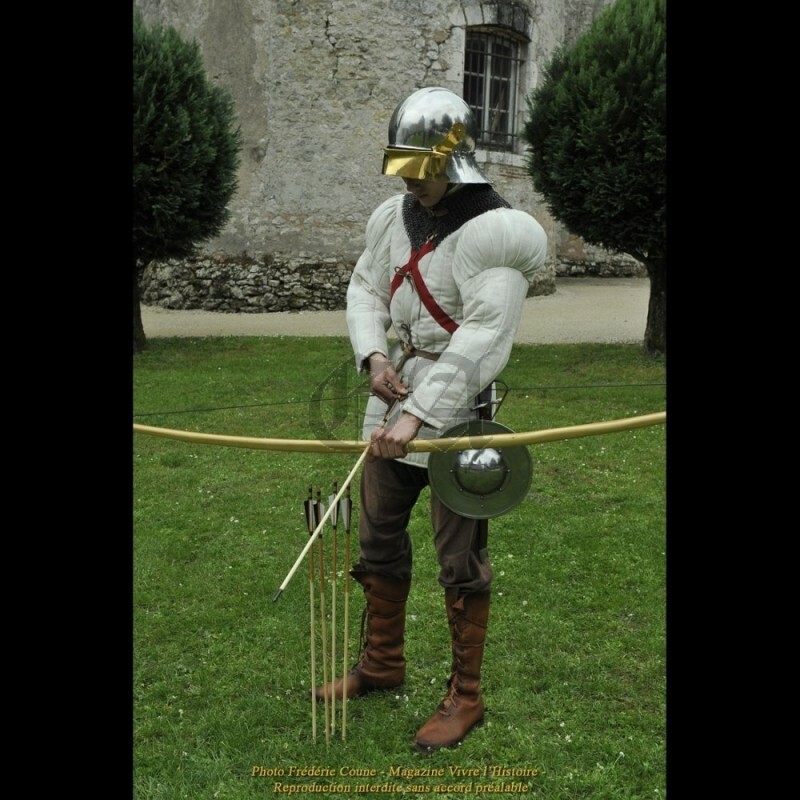 In 1449, the entrance of the king in Rouen was steeped in elegance and lavish: many horses’ chamfroms and helmets were gold plated and even the equipments of the archers were partially silver plated... In 1451, the mount of the Seneschal of Bearn wore a chamfrom covered with gold and precious stones. 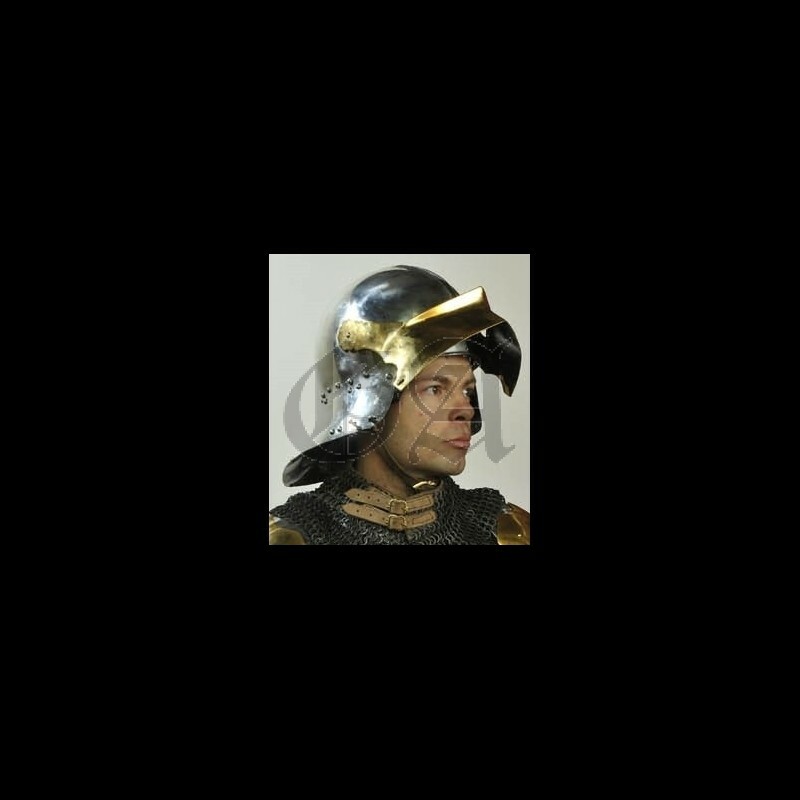 In 1491, the armors, sallets, chamfroms and equestrian bards of the bodyguards of the Duke of Lorraine are enhanced with gold ... examples abound, and are confirmed by numerous paintings and miniatures and a number of well-preserved statues. Admittedly, as pointed out by the historian Philippe Contamine, the appearance of the men-at-arms of the Ordinance Companies was characterized by a taste for luxury, pomp and splendor. 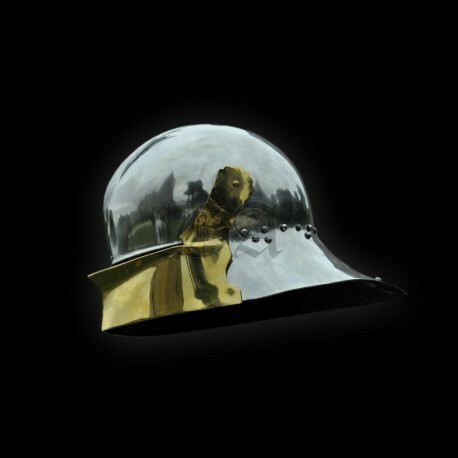 And it was not unusual for an ordinary man-at-arms to incur debts in order to buy a gold or silver plated helmet, afford gilded spurs, or even a gilded lance point !